Kids recipes - Kid Friendly Recipes - Try Some Of Our Kids Favorite Recipes. Here you will find plenty of kids Recipes, they are easy recipes for kids and will be great for homeschooling and fun recipes for kids in any family. 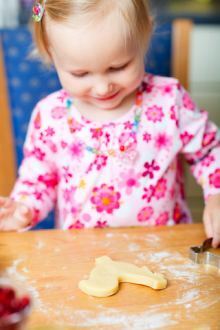 Some of our most enjoyable times have been trying out recipes for kids. What better way to spend family time than cooking together. Trying out a recipe from the country we are learning about or making bread with dad on a Saturday morning. All of our senses are stimulated in making and creating recipes. Recipes for kids can be as simple as a tuna sandwich for lunch. As kids get older they can be encouraged to be more independent. Why not suggest to your kids that they cook for you. They can create a menu and lay up the table like a restaurant. And yes; helping with the clearing and washing up is part of the learning process. Easy recipes for you and your kids to do together, or beginner cooks to do with just you keeping an eye on them. Everything from eggs to chocolate cake. Baking with kids is really enjoyable, we bake bread, the kids really enjoy doing this with their dad. Try cornflake crunch, bagel pizzas, raisin bars, flapjacks or carrot cake and more. From smoothies to jelly enjoy these easy recipes for you and the kids. Yummy chocolate recipes for you, these easy kid friendly recipes are just right for those "I want chocolate" moments. Try making some of these easy kids recipes with your loved ones. They may be able to make the recipes by themselves or may need a little help from you. Our kids love pizza. Try some of our favorite pizza recipes for kids. I bet your kids are always hungry. try out these great kids snack recipes with your kids. You will find fruit and savoury snacks for your kids to enjoy. They will also enjoy having a hand in making them. It's all part of the fun. Find some healthy recipes for kids here, we have roasted vegetable soup, yum! and pasta as well as other recipes our readers have supplied. Fun kids snack recipes for your kids to enjoy. Supplied by us and other readers, you can add a recipe too - just go to the page and fill in the form. Try out these easy cookie recipes that are great for christmas. A range of easy recipes for you and your kids to try out. Check out our page on making homemade bread, there are also easy bread recipes to follow. Do you have some great kids recipes to add? We all need to eat 5 portions of fruit or veg or a combination per day. This is for a healthy weight and lifestyle. They are full of vitamins and m.inerals. Tinned, frozen, chilled, fresh and dried fruits and veg all count. A medium glass orange juice counts as one portion. chopped vegetables can be hidden in foods such as bolognaise. TIP: I make a tomato sauce with tomatoes(tinned or fresh)and vegetables. Put tomatoes in a pan with garlic and herbs and vegetables and cook. Puree and use as a pasta sauce or as a sauce for bolognaise.